A small group of area residents is focusing on the future health of the community by jumping into the past. Hali Bernstein Saylor/Boulder City Review Patty Jacobson, a member of St. Christopher's Episcopal Church, teaches the December Jump Start Kitchen class offering nutritional information about cabbage and how to make a simple dish using tomato soup, ground meat and cabbage. Hali Bernstein Saylor/Boulder City Review A deconstructed cabbage roll dish was prepared and served to students of the December Jump Start Kitchen class, held Dec. 5 at the city's Multiuse Building. Hali Bernstein Saylor/Boulder City Review Patty Jacobson, a member of St. Christopher's Episcopal Church, teaches the December Jump Start Kitchen Class, offering nutritional information about cabbage. Those who do not have a Crock-Pot of their own are provided one, free of charge, through the church's outreach program. The group, made up of members of St. Christopher’s Episcopal Church, is working to promote healthy eating habits by embracing the slow cooker made popular 40 years ago and teaching others how to use it to make nutritious meals. Jump Start Kitchen, which launched late this summer, provides cooking lessons, recipe sampling, a package of ingredients to take home to re-create the lesson plan’s dish and, if needed, a Crock-Pot. “I was concerned about the nation and the fast-food nutrition of our country. 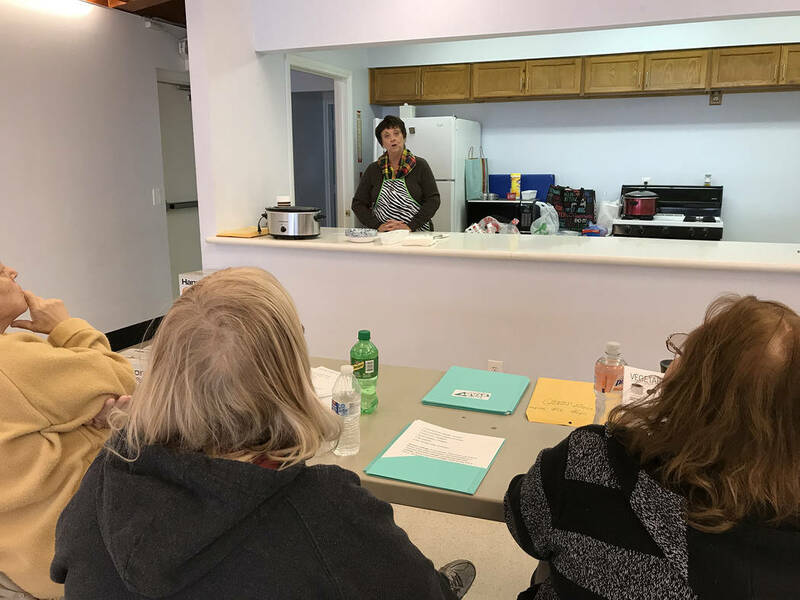 I was thinking what could we do to get people thinking about nutrition for their families,” said Karen Wilkes, who brought the idea for the class to the church’s outreach program. But it fell out of favor as busy lifestyles trended toward fast-food outlets and the popularity of the microwave grew. “I make a couple of Crock-Pot meals a week that will last two nights or provide lunches,” Wilkes said. She added that her mother was keen on nutrition, relying on Adelle Davis’ books, which focus on eating right. She said her mother was concerned about her father’s diet, wanting to keep him and her children healthy. “She was ahead of her time regarding fats and sugars,” Wilkes said. Wilkes said that when she brought the idea to her fellow church members, it incubated and sparked. Church member Patty Jacobson was quick to join the project. Jacobson majored in theater and minored in home economics, and she puts the two together as one of the class teachers. 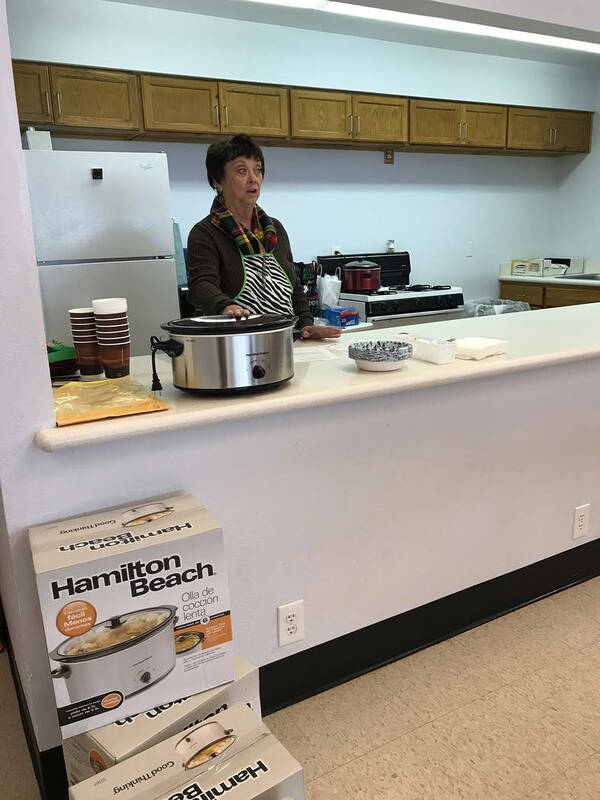 Jacobson said one of the reasons the group has selected the dishes it has so far — which include pinto beans with ham, deconstructed cabbage rolls and a Thanksgiving casserole — is that its members have seen people walk by staples and commodity foods at local pantries because they didn’t know how to prepare them. With a Crock-Pot, they can learn to make a meal that will easily feed a family of four at least twice, she said. At the December class, she demonstrated how to make a deconstructed cabbage roll. 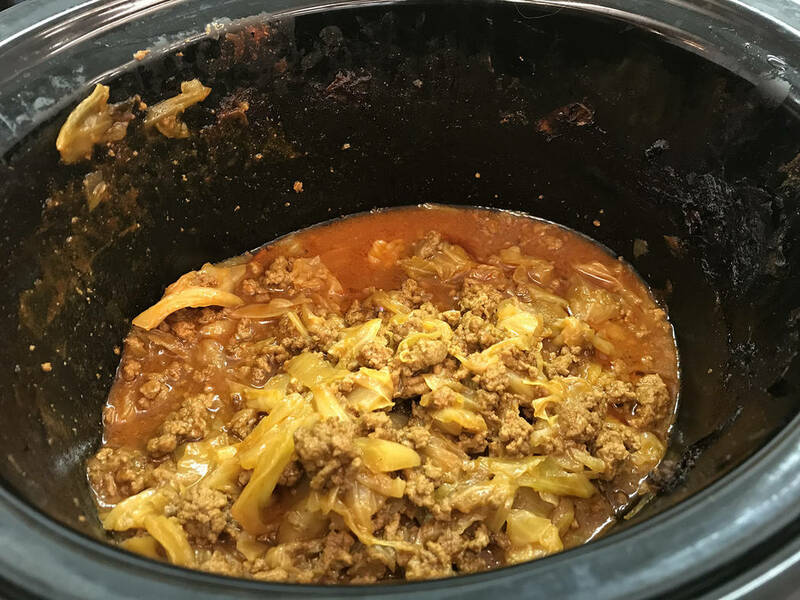 During the lesson, Jacobson offered pointers about how to blanche cabbage to reduce its gassy nature before putting it into the slow cooker and how adding broth can transform the dish into a hearty soup for a second meal. “We do encourage multiple visits,” Wilkes said, adding that it helps people change their cooking and eating habits. The Boulder City woman, who was taking her third class last month, has lost 100 pounds and said she is learning so much about nutrition. “I didn’t know what’s good,” she said, adding that the difference between good and bad carbohydrates is often confusing. Now, she said, she feels confident experimenting on her own. She recently put some onions, garlic and olive oil in her Crock-Pot and let them caramelize overnight. She said the Crock-Pot is an ideal way for her to cook because injuries from a car accident won’t allow her to stand for a long time. “I’ve learned a lot,” said student Vicki McBroom, who has taken several classes and received a free Crock-Pot. “We send everyone home with the majority of the food needed to make the recipe and a Crock-Pot if they don’t have one,” Jacobson said. In addition to Wilkes and Jacobson, the program is coordinated by Margaret Kolar, Bobbi Johnson, Tim Tilman and Jim Amstutz, who came up with the name. Wilkes said they hope to offer the program, which is co-sponsored by the city’s parks and recreation department, to other churches in the near future. 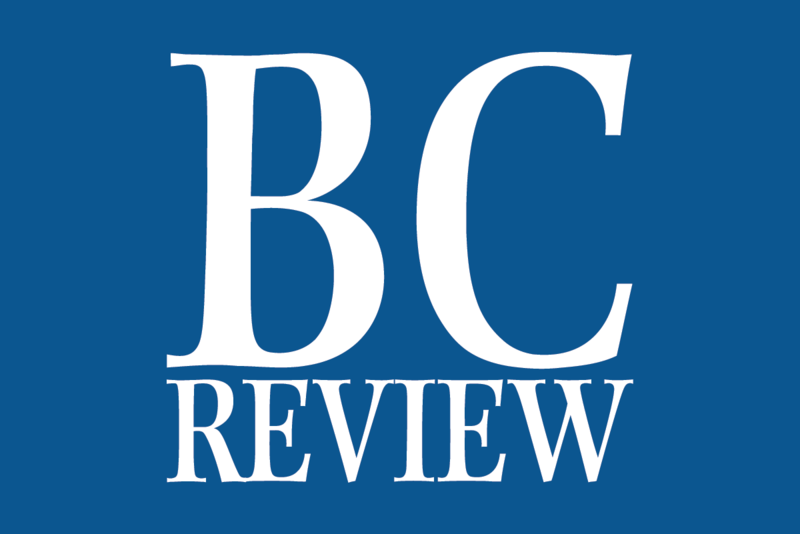 “We want to take it to other Episcopal churches and other denominations in Las Vegas. The possibilities are nationwide,” she said. Currently, classes are offered at 10 a.m. Tuesdays and 6:30 p.m. Thursdays. Reservations are requested to ensure there are ample groceries for all the students. They can be made by calling Wilkes at 702-277-1647 or Jacobson at 702-293-7454. Multiuse Building, 1204 Sixth St.